Happy Sunday! I have a fun post today! A recipe, recap, two announcements and another giveaway! I feel like the Queen of giveaways lately!! But first I’ll start with the recipe. This week I had some banana’s that were turning black (ugh), so I asked my Husband if he wanted banana bread, he said ok and asked if I could make it lemon flavored. I thought hmmm, I could do that! But I needed more than lemon and banana, I needed blueberries for a pop of flavor and a pinch of color. So out came my Lemon Blueberry Banana Bread. This bread is amazing! It was a hit in the office and a hit with my Husband! It’s a cinch to make and the flavors, oh the flavors are just wonderful together. My Husband did good on this one. Not only does it taste good, but it’s all pretty good on the nutritional chart! Only 95 calories a slice and 21 carbs. I’ll take that, thank you very much!! This bread does not contain any oil or butter and it’s made with greek yogurt to make it extra moist! It’s not chewy either which is a nice surprise! I’m not big on chewy bread! But I’d still eat, it even if it was!! This recipe make one big loaf or three mini loafs , which is what I did! Mini loafs make it easy for sharing! 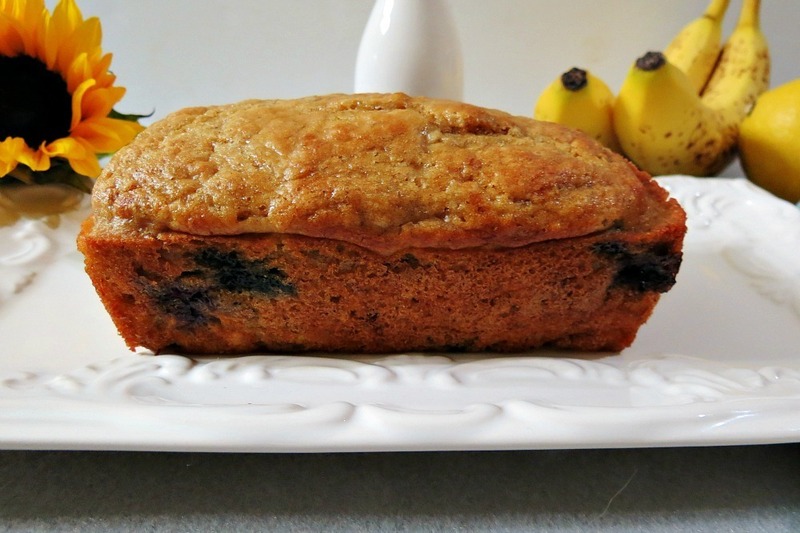 A moist, light banana bread with a hint of lemon and a pop of blueberries. In a large bowl add flour, baking soda, and salt; mix and set aside. In a bowl, add egg whites and sugar, whisk together until incorporated. Add banana, applesauce and yogurt. Whisk until combined. Add lemon juice; mix well. Make a well in the center of the flour mixture and slowly add the banana mixture and fold together until combined. Do not over mix. Evenly divide batter into prepared mini loaf pans or pour into one large loaf pan. Bake mini loafs for 30 - 35 minutes, bake large loaf for 50 - 60 minutes. Insert a toothpick into center of bread, comes out clean, bread is done. Let the bread cool for 5 minutes, then take loaves out and let them cool on a cooling rack. My first announcement is that Peanut Butter and Peppers made the Skinny Scoop top 25 Recipe Blogs! Yah!! I am so happy that I made the list! There are so many wonderful blogs on the list! You can check them out here. For my second announcement I want to congratulate Cassandra who won the Capresso 12 Cup Coffee Maker! Cassandra, shoot me an e-mail at: [email protected] In the meantime, I’ll send you an email! Oh man, I just about died when I saw this giveaway! My favorite flavor of coffee or specialty coffee drinks would be something with vanilla or caramel. I LOVE vanilla lattes and I’m likely to try any sort of caramel coffee concoction. 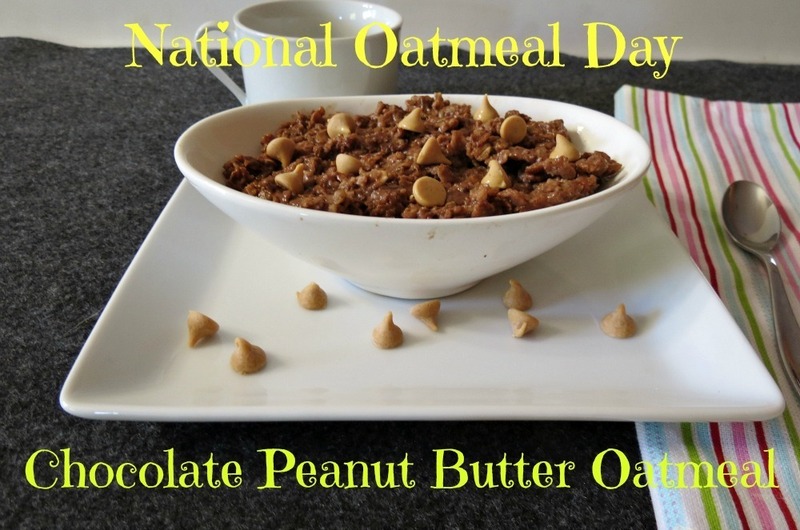 Monday: Chocolate Peanut Butter Oatmeal – I made this especially for National Oatmeal Day! Ok, I lied, it was an excuse to make this for me!! It was gooooood! Chocolate and Peanut Butter in oatmeal, yes please! This will most defiantly make my breakfast rotation!! 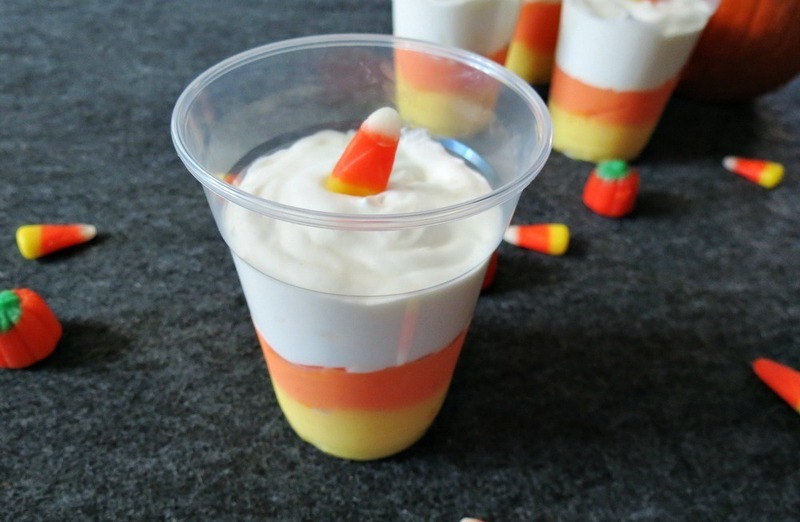 Tuesday: Candy Corn Pudding Cups – This was a fun treat! Simple to make and mighty tasty! I haven’t had pudding in long time! This was also a hit with my Husband, but how can’t it be? It’s so cute! Wednesday: Pumpkin Mocha Spice Latte / Big Giveaway – This coffee was so good! I was really impressed with it. I think, I just might like it better than my Skinny Vanilla Latte. 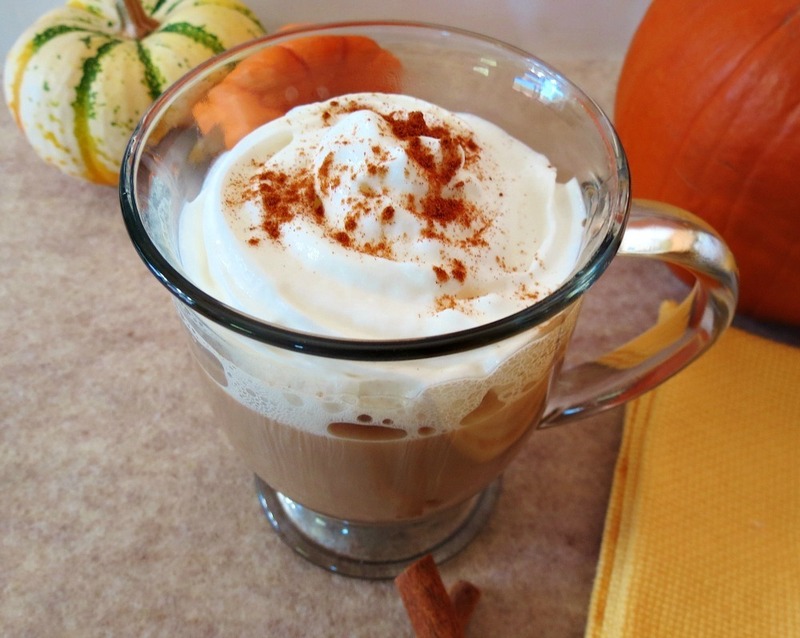 The Pumpkin flavored coffee with cocoa is a great combo!! This is also so easy to make!! In 3 minutes flat you could have this wonderful drink. Make it with decaf for an evening snack!! 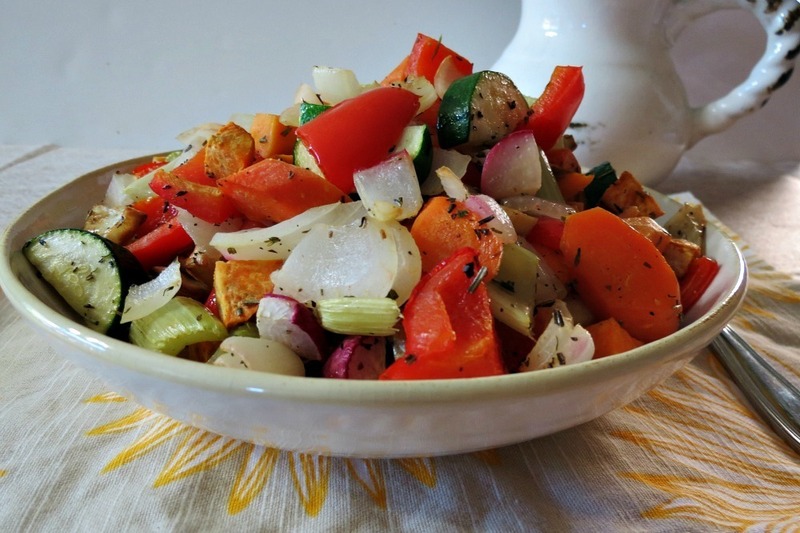 Thursday: Roasted Vegetables 101 – I love this dish! It’s one of my favorite ways to eat vegetables. It’s wonderful making a big batch of roasted veggies and having it readily available for the week. You can have it as a side dish, in a tortilla wrap, on a sandwich or do what I do and use it for snacking! Yes, I snack on cooked vegetables. Oh and on this day, I also posed a nice vegetable roasting chart that I got from my magazine! It’s really helpful for fall veggies! Check it out if you are unsure on the timing to roast vegetables. 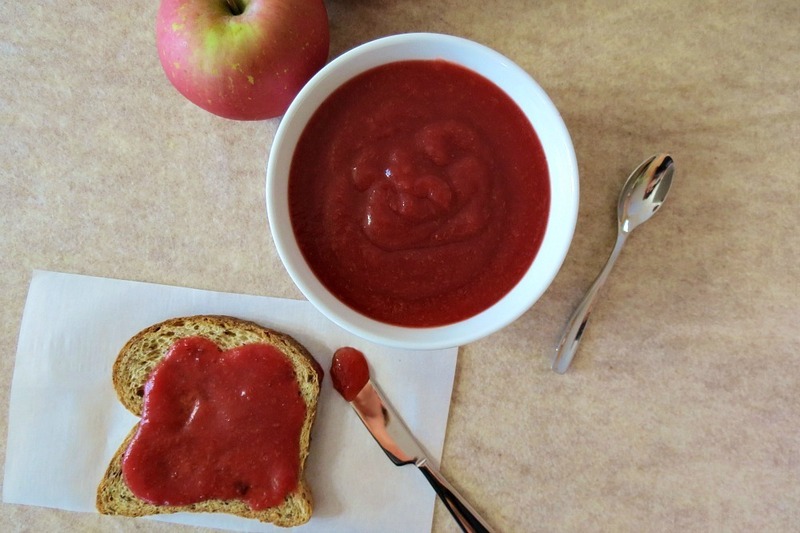 Friday: Cranberry Apple Butter – I LOVE this cranberry apple butter! I put it on yogurt and I also ate it by the spoonfuls! I also have some up coming recipes that I plan on making this weekend that this butter will be amazing on, so make your cranberry apple butter!! 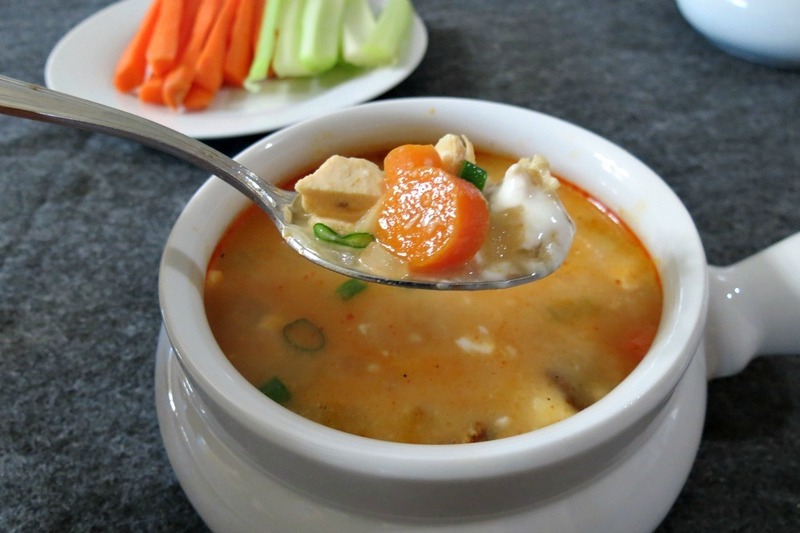 Saturday: Buffalo Chicken Soup: Man this soup was good! I love, love, love it!! My Husband wasn’t sure, but he apparently loved it too because we had it two nights in a row without an argument ! I’m very pleased with it! This would be great to make a big pot of it and serve it during a football game!! Now for the giveaway! When I was at the Foodbuzz event, as one of our gifts, I received a NatureBox full of granola, mixed nuts, dried apricots and a few other goodies. I love how natural everything was and how healthy the treats are. Matter in fact I loved it so much I decided to get a monthly subscription to NatureBox! If you want to see what I got in my Nature Box you can go here. I posted the nutritional stats below. NatureBox is a monthly subscription where you get different healthy treats delivered to your doorstep every month. The cost is $19.95 a month, which includes shipping and there is no obligation, you can cancel anytime. Before I ordered my subscription I checked out the following months Discovery Boxes and I liked everything I saw. I decided to contact Nature Box to ask them if I could do a giveaway because I love what Nature Box stands for. Besides I thought we could use some healthy snacks because in the next couple of months we will be filling up on holiday foods and sweets, so why not have some healthy goodies readily available? Mine will be going in hands reach, right next to the cookie jar!! Hopefully that will help me from eating a handful of cookies, because you know if I see it, I’ll eat it!! At this time, we are unable to customize our NatureBoxes for specific dietary needs or personal preferences. So what do you need to do to win a Discovery Box from NatureBox? Since I really believe in healthy snacking, the only thing you need to do is answer this question: What is your favorite snack? Giveaway ends on Wednesday, November 7th. I’ll announce a winner on Thursday’s post. But if you’d like, please feel free to share this giveaway with your Friends! Time to say goodbye!! But stay tuned this week, I have some great recipes that I plan on making and one that is floating around in my head and I’m going to try to make right now! Crossing fingers it turns out! Have a great rest of the weekend! P.S. 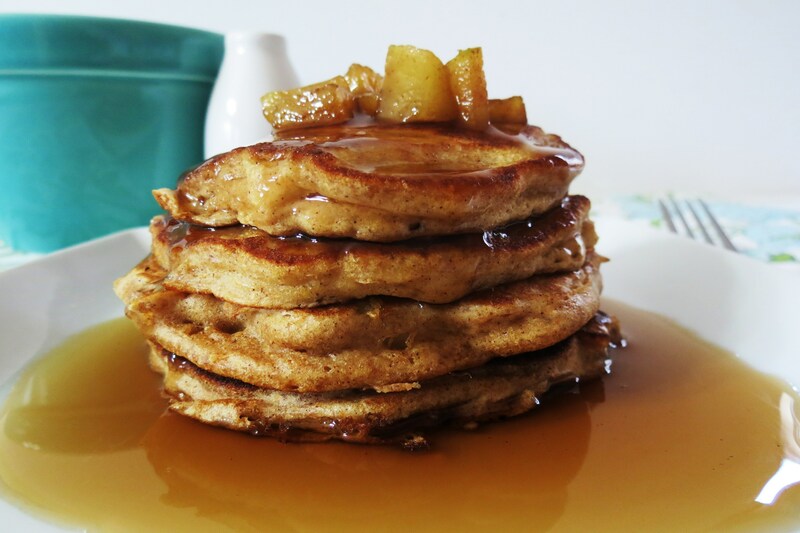 This weeks craving is, drum roll please, Cinnamon Apple Pancakes! By the time you read this, I will most likely be eating this or getting ready to eat it!! It looks good doesn’t it? My favorite snack is an avocado sprinkled with sunflower seeds and drizzled with honey. i love snacking on pistachios! p.s. that buffalo chicken soup looks a-maz-ing. making this week. definitely greek yogurt with sliced bananas! My favorite healthy snack is hummus with pita chips! Yum! My fav snack is cheese & crackers. Love to snack on trail mix. Salty and sweet! i love eating yogurt or apple sauce with granola mixed in! i recently started making homemade pple sauce in my slow cooker and i cant get enough of it! I love snacking on anything! But my favorite are apples with a few walnuts or pecans. I enjoy snacking on trail mix with lots of dried fruit and nuts! Thanks! My favourite snack is nuts! So easy and portable. My go to snack is always greek yogurt with fruit and some kind of cereal! I love eating celery and cottage cheese! What a nice giveaway! My favorite fall snack is spicy roasted pumpkin seeds. My favorite snack is carrots with hummus! My favorite snack is hard to pick! I graze all day. A Macintosh apple and bits of sharp cheese! Wow you really are doing TONS of giveaways! Also congrats on getting to that top 25! That is pretty awesome! Congrats on making the top 25 on Skinny Scoop! There’s a ton of awesome blogs on there. And I can’t wait for those pancakes!!! I love chocolate covered potato chips. Congrats on the top 25 blog! 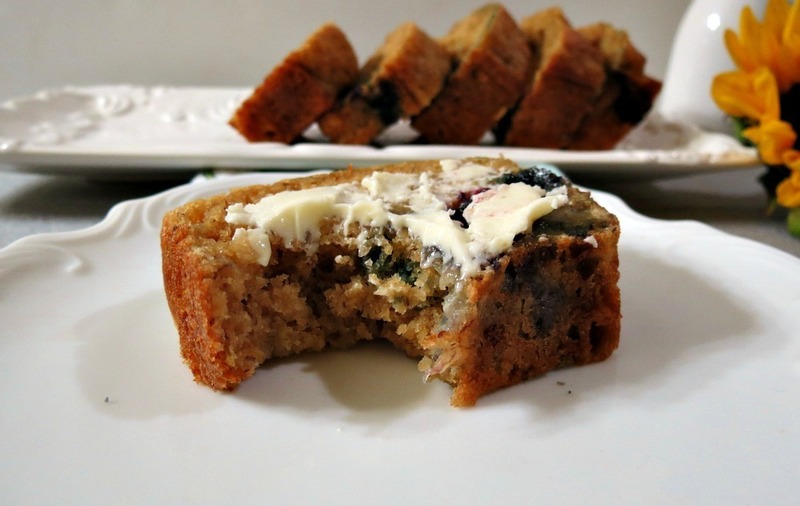 And I’m loving the sound of your twist on banana bread…YUMMY! Hope the weekend was good to you! I look foward to your emails everyday! Thank you for the great job. My favorite snack is greek yogurt, chia seeds, liquis stevia, and blueberries. 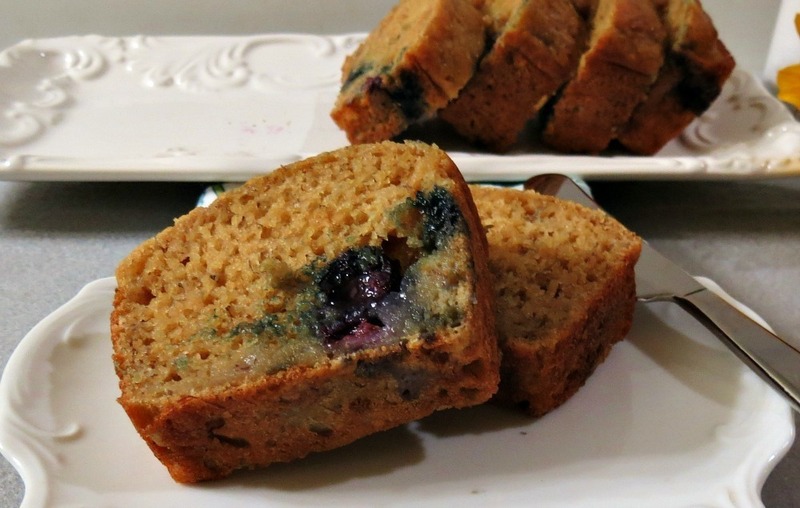 Your lemon blueberry bread looks fab! 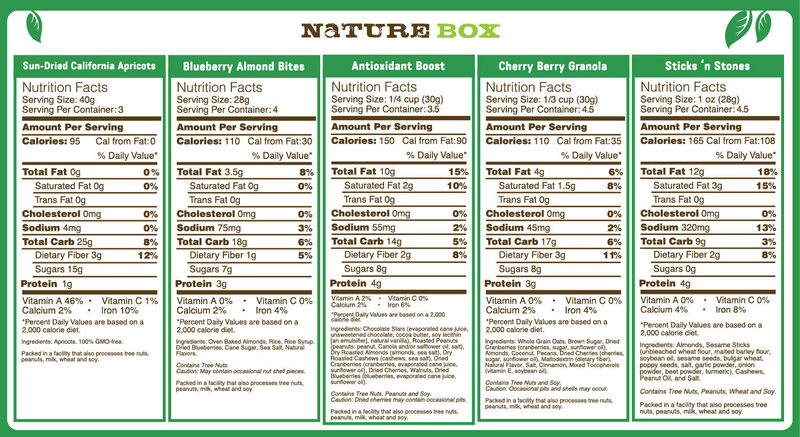 And I love NatureBox too, everything in that box we got was sooo good!! I love Greek yogurt with organic berry granola and blueberries and raspberries! Honey Crisp apple, smothered in Trader Joe’s Cookie butter, sprinkled with cinnamon! Yum! My fav. snack are sweet potato chips because they are a healthier version of regular potato chips and they are sweet! My favorite snack is roasted almonds! I love apple or banana covered in peanut butter as a snack! I like sweet and salty. My favorite snack is fruit and nuts. I love me some greek yogurt with anything from fruit to granola mixed in. Love your blog I read it everyday! lately, my favorite snacks have been veggie-related things. pickles, carrots dipped in hummus, etc. but I’ve always loved trail mix – fruits, nuts, chocolate bits, YUM! My favorite snack is peanut butter on a plain rice cake. My favorite snack is a chopped Fuji apple. I eat one every day. I love fruit and peanut butter! I love snacking on cashews and almonds!